With St. Patrick’s Day right around the corner, lots of Long Islanders are beginning to get into the spirit of the season. While the festive holiday isn’t as big as Christmas or Easter, it’s still one that people want to participate in, including our staff here at Westbury Toyota. Fortunately for us (and you!) there are plenty of St. Patrick’s Day events taking place all across Long Island – so many, in fact, that it might be hard to choose which ones you want to attend. Don’t worry, though; Westbury Toyota’s got you covered. 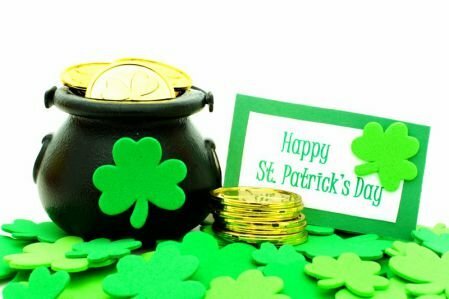 Specifically, we’ve put together a list of a few St. Patrick’s Day festivities you can check out with your friends or family to make the most out of this fun, green-themed holiday! Just remember to be safe as you make your way around Long Island and celebrate the life and times of Ireland's most notable patron saint. One of the best parts of any parade is variety, and the St. James St. Patrick’s Day Parade has plenty of that! Your family will be delighted to see a mix of dance groups, marching bands, antique cars, scout troops, and numerous floats. The parade starts at 1:00 P.M. sharp and follows Lake Avenue from Woodlawn to Railroad Avenues, so make sure you and your family get there early enough to nab a great spot before the crowds come rolling in! While running might not be everyone’s idea of a good time, it certainly is for our more athletic-minded neighbors here in Westbury. If you fall into this category and love chasing down the competition in marathons and local 5Ks, then the St. Patrick's Charity Fun Run should be right up your alley. Start the day off with a complimentary breakfast of bananas, bagels, and beverages, then run a kilometer at your own pace. Everyone from kids to adults are welcome to join in, and there will be prizes for the top runners in each of the three categories. If this sounds like something you’d like to experience, make sure to check out the official website. Looking to find some romance on St. Patrick’s Day? Why not check out this event, which provides a delicious three course meal topped off by a night of dancing and mingling. Taking place in the Planeview Marriott Terrace Room, you’ll get a great view of the pool while you dance the night away to music supplied by a professional DJ from Grooveline Entertainers. Maybe the luck of the Irish will be with you and you’ll end up finding the partner of your dreams! It’s also a good idea to make sure you’ve got a designated driver in place if you’re going to be hitting up any events where there will be alcohol. You can party smart by making sure that you and your friends don’t get behind the wheel after you’ve been drinking. Keep it safe for you and everyone else! This fun run/walk takes place in Patchogue and starts in front of Finest Fitness at 9:55 A.M. (check in between 8:30 A.M. and 9:30 A.M.). This event is open to runners/joggers/walkers of all ages, so it can definitely serve as a healthy, fun holiday event option for the entire family. Participants will follow the race course around the idyllic Lake Patchogue and finish the race in the vicinity of some of Patchogue’s most popular bars and pubs. Everyone loves an excuse to cut loose and have some fun, and that’s what St. Patrick’s Day is all about. Whether you’re looking for something family friendly or an event that caters to adults, communities all over Long Island will have what you’re looking for. We here at Westbury Toyota encourage you to make the most out of the March festivities, but we also want you to be safe. Please remember to drive responsibly, and if you plan on drinking the night away, make sure you’ve got a designated driver in your party. We want everyone to have the chance to enjoy this important day safely!